On 26 October, U.S. Embassy Macedonia hosted Alumni of U.S. Exchange programs for a Certificate Presentation Ceremony. Ambassadors Wohlers presented the certificates to finalists of alumni grant competitions. Addressing the Alumni, he stated, “The skills you demonstrated while you were applying for your particular exchange programs, combined with the experiences, knowledge and vision you brought back from the U.S. benefit not only you but the broader Macedonian community. 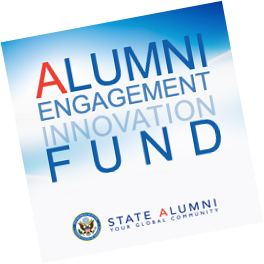 Building on them through these alumni projects demonstrates your even deeper commitment to your country’s future.” Two alumni projects won grants from the Alumni Engagement Innovation Fund (AEIF) competition, and the third is the winner of State Dept’s FY2011 Education and Cultural Affairs (ECA) annual Alumni Project Competition. The total amount of funds for the three awarded grants is $55,675. See a report of the event from Alfa TV and the gallery of the event.